"Fascinating, the way all great family stories are fascinating. "—Robert Gottlieb, New York Times Book ReviewThis is the story of a close, loving family splintered by the violent ideologies of Europe between the world wars. Jessica was a Communist; Debo became the Duchess of Devonshire; Nancy was one of the best-selling novelists of her day; beautiful Diana married the Fascist leader Sir Oswald Mosley; and Unity, a close friend of Hitler, shot herself in the head when England and Germany declared war.The Mitfords had style and presence and were mercilessly gifted. Above all, they were funny—hilariously and mercilessly so. 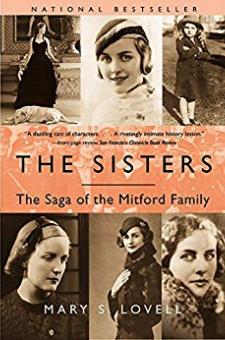 In this wise, evenhanded, and generous book, Mary Lovell captures the vitality and drama of a family that took the twentieth century by storm and became, in some respects, its victims.